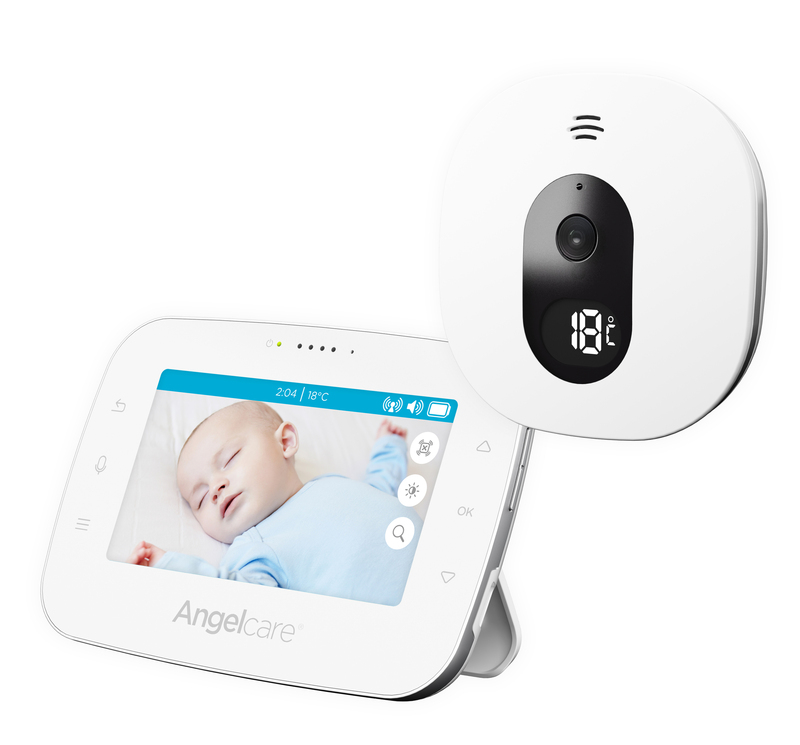 The digital Angelcare AC310 video and sound baby monitor provides high quality video of your baby day and night as well as digital quality sound. The picture quality is great – it’s obviously not as picture-perfect as they show on the box – but I was really surprised at how clear the video was, especially when zoomed in. It uses infrared LED technology so you can see your baby in the dark; again, the quality of this is superb. It’s great that it’s wall-mountable; it also comes with a stand if you wanted to pop it on the tabletop, with a handy magnetic mechanism so you can angle the camera to just the spot you want it to. When Baby 2 arrives, it will be mainly pointed straight at the cot at nap times, but it’s reassuring to know that it can be changed quickly to keep an eye on the toddler too! It keeps an accurate track of the temperature in the room, and changes colour if it’s too hot (red) or too cold (blue). Temperature is always a thing that I worry about as it’s so tricky to regulate where we live. This gives me great peace of mind. We had it set up for so that it only transmits sound when there is crying in the room. It does take a bit of getting used to, if your normal monitor emits that “fuzzy” sound of a constant transmission – we kept thinking that it wasn’t working!! But once you know that it will jump into action when there is something that needs actioning (i.e. a crying baby/toddler who wants to get out of their bed!) then it is great! 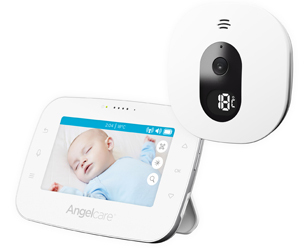 The Angelcare AC310 is a great piece of kit, and I highly recommend it!